With the recent hot and humid weather my body becoming weaker and I get tired, moody and headache easily. Usually by midday I feel sleepy and at night I can’t sleep; I guess my body is throwing tantrums at me. If these symptoms go on I am afraid my body system will break down. So the La Juiceria Cleanse Program came in just in time to service and spring clean my body. 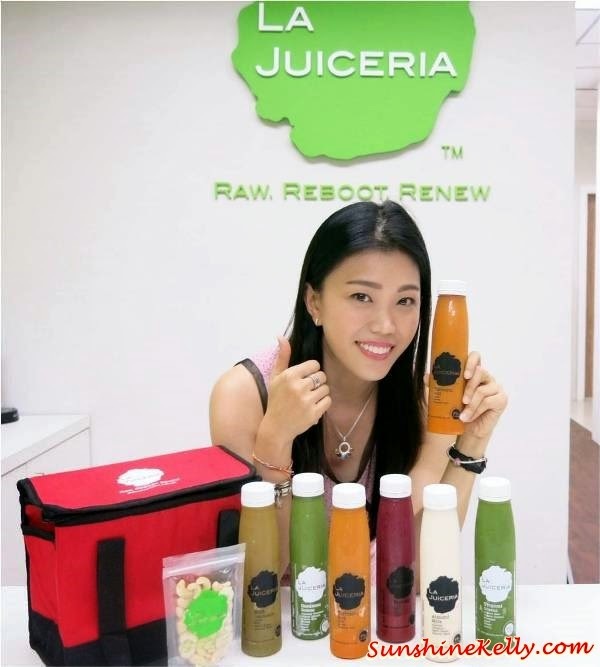 La Juiceria Cleanse Program is juice fasting that range from 2, 4, 6 and 10 days depending on the individual. This is the cold-pressed, handcrafted raw fresh juices for natural, safe and effective way to detoxify your body and restore your health and wellbeing. During the cleanse program, I was briefed that I can’t eat carbs, meats, processed food is a big no no and stay far far away from caffeine. By replacing my normal food with 6 bottles of with live, nutrient-rich juices a day and drink it according to the scheduled time supposed to flush the toxins from your body, and nourish the cells with vital enzymes. 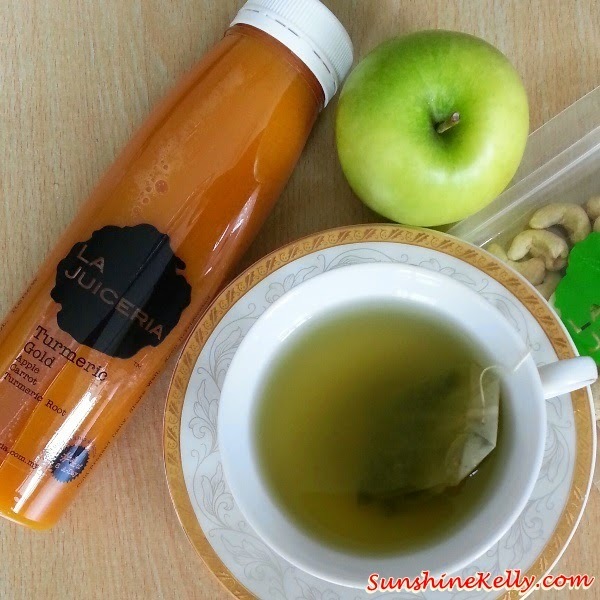 If I feel hungry or really crave for solid food I can eat fresh fruits, fresh salad without the dressing, green tea, vegetable soup or munch on La Juiceria Organic Raw Cashew Nuts. I did the 4 days Cleanse program; so day 1 & 2 I had the 6 bottle of La Juiceria Original - Goodness Greens (organic kale, organic spinach, parsley, celery, lemon, apple, japanese cucumber); Mint Lemonade (lemon, mint, agave nectar, alkaline water); Tropical Greens (organic kale, organic spinach, pineapple, apple, ginger, lemon); Turmeric Gold (apple, carrot, tumeric root); Beet Aid (carrot, apple, beet, lemon, ginger) and Almond Mylk (almonds, cinnamon, himalayan crystal salt, agave nectar, alkaline water). And for day 3 & 4 I try a different set of juices such as - Goodness Greens (organic kale, organic spinach, parsley, celery, lemon, apple, japanese cucumber); PAM (pineapple, apple, mint); Burdock Beet (apple, beet, carrot, burdock root); Cilantro Celery Punch (cilantro, celery, apple, lemon, ginger, japanese cucumber); Orange Power (orange, carrot); Chocolate Almond Mylk (almonds, alkaline water, agave nectar, cinnamon, organic cocoa, himalayan crystal salt). I started the program in middle of the month on Thursday and completed it on Sunday because middle of the month and towards the end of the week my work schedule usually usually not that hectic. Day 1: my weight was 51.5kg. Everything goes well in the morning until afternoon I began to feel dizzy and hungry. I ate a big bowl of salad, some bananas and nut. Then I feel alright and resume my day as normal. I like the Almond Mylk juice flavour on of my favourite. I don’t mind drinking this everyday because the combination of almonds, cinnamon, agave nectar, Himalayan salt, nectar and alkaline water. It’s so sedap and calm after drinking this I can go to bed early at 1130pm. Day 2: my weight was still 51.5kg. The detox is kicking in, I went to the toilet more often than usual for big and small business hehehe. I was crying for coffee try to substitute with green tea, well its ok but not perfect because I need my caffeine. I told myself only 2 more days to go so I can tahan. It was a challenge when I was attending event, with the spread of desserts and food in front of me arghh hard to resist but I am glad that I did not fall for temptation. I refrained myself from going near the food counter, so during the event I just ate fruits, vegetables and water. Day 3: my weight was 50kg, wootz! Lost 1 kg, I felt motivated. Automatically I woke up at 7am for without alarm and no grumpiness. 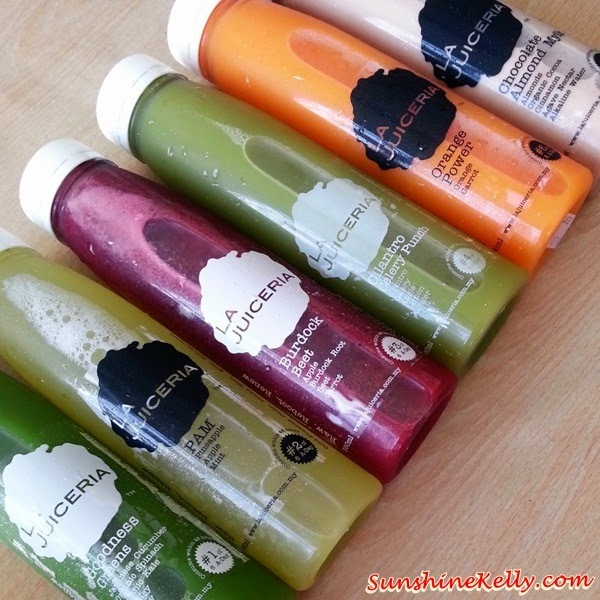 I am getting used to it and began to like my second set of La Juiceria. No more headache and dizzy, I feel more energetic and my body is lighter, I can focus on my work better. The whole day is quite pleasant. Day 4: my weight was 50kg. Woke up 7am did not realize that it was my last day until I opened my fridge only left 6 bottles of juices. It was Sunday so staying at home is the easiest way. I went to toilet event more often to flush out all the unwanted waste and toxin; it’s unlike diarrhea. I did some housework, spring cleansing and even went out for groceries and shopping without feeling tired or craving for carbs or fatty food. Overall, it was a great experience to service my body and take a break by just going on juice diet for 4 days. I can really feel the difference especially after the cleanse program I feel more energetic, fresh and my digestions improved. I wake up at 7am everyday without alarm, I have a better sleep at night and I do not get angry or frustrated easily; I can have a better concentration and focus. I guess when my body is healthy, my mood becomes good and my skin looks radiant. Well, I lost about 1.5kg in 4 days which I think is amazing, I don’t expect or want to have a drastic weight lost. 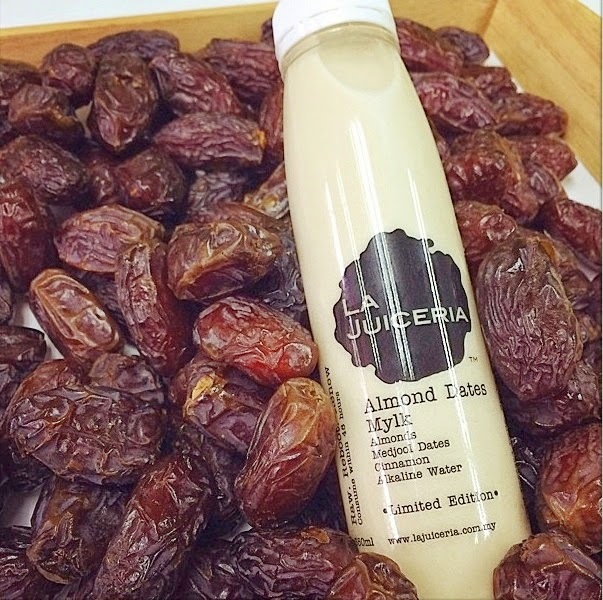 Since Ramadan or Fasting Month is coming La Juiceria introduces the limited edition Almond Dates Mylk. 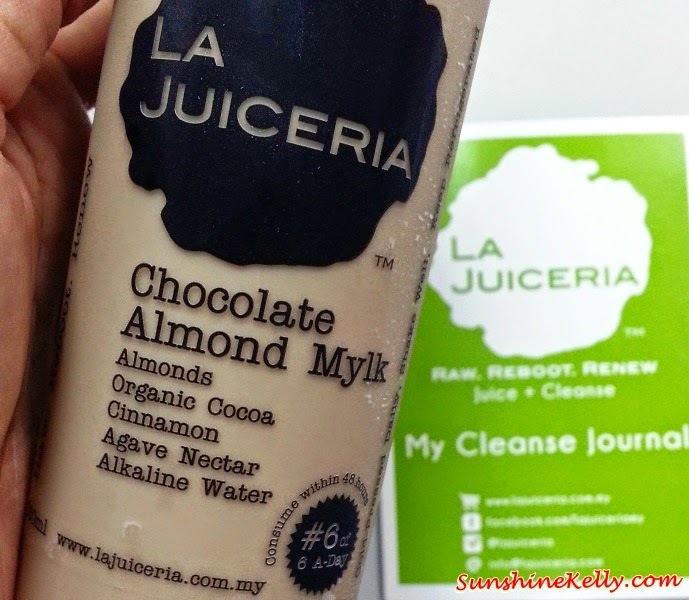 This is based on their popular and my favourite Almond Mylk with added Medjool Dates. Its naturally sweetened, no preservatives and no additives. What a healthy and delicious way to break fast and sahur. This is a definitely a Must Try! The La Juiceria Almond Dates Mylk is for limited time only and The Almond Dates Mylk pack includes 6 bottles is selling at RM99. Ai Leen, this is more than weight reduction, Lajuiceria Cleanse Program helped me to detox and cleanse my body system now i feel more energetic and happy. Seriously.. thank you for starting this up. This web site is one thing that's needed on the web, someone with a bit of originality! Thanks for sharing your experiences. 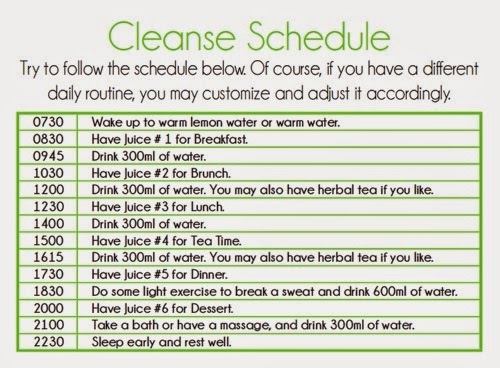 My colleagues and I are going to embark on this cleanse journey next week and it is great to read up about your experience as I really have no idea what to expect. 1. Can I go without food and just fruits and juice only. It's good to have some insights. Will you gain back the weight after resuming normal diet? Thanks. Hi, will you gain back to original weight after resuming normal diet? Thanks.